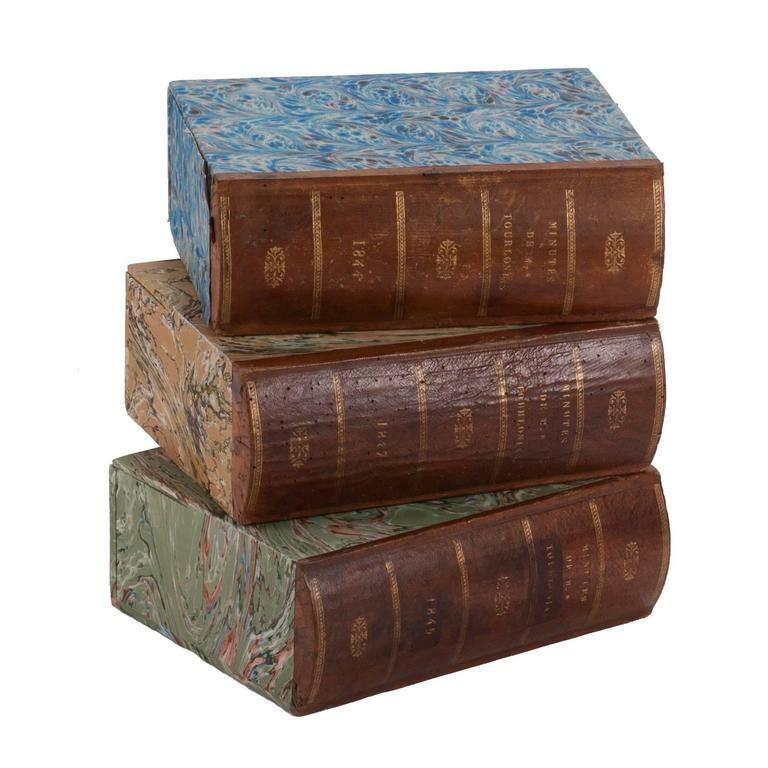 Crayon leather box from England circa 1900. 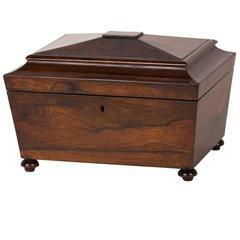 Large mahogany box from England circa 1840. 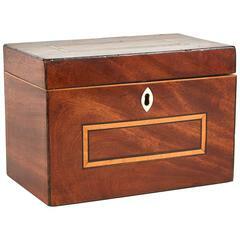 Georgian mahogany tea caddy box from England circa 1825. 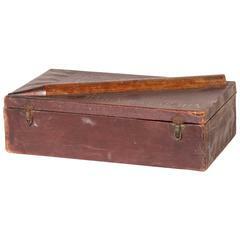 Small tapered tea caddy box from England circa 1840. "Puzzle" box, by Line Vautrin. 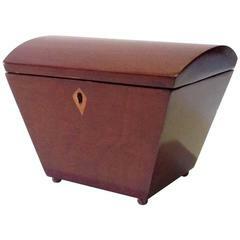 This large, flat bronze argenté box dating from 1950 has an intricate engraving of puzzle pieces cut into its top. Signed: Line Vautrin.